Alternative Press premieres new track from SMOKE OR FIRE! I wrote the song about 7 years ago, the day my Father quit the job he had been at for about 25 years. He couldn’t stand it anymore, and one day just got up and walked out. I mainly played the song acoustic here and there, but we decided to work it into a full band song for the 7". 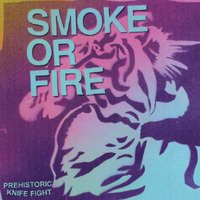 Smoke Or Fire perform this Saturday at HOH! SOF and DTM tour to SXSW! Click here for our showcase flyer. SOF added another SXSW show on Friday, March 19th! They perform at 2PM: 604 E. 6th St. above El Sol y La Luna at the corner of 6th St. and Red River. Click here to read an interview with SOF & Spinner.